Better in 5 Days - Fabulous in 30! Expect to lose 4 - 10 kg excess weight*. *Carry on with program for 2-3 months for full weight loss. How can it work so fast? Food toxins have been damaging your body for decades! That's why reducing them starts the healing process. Food toxins include: additives, caseins, saponins, excess sugars, lectins, phytates, salt, glutens, phytoestrogens, alkaloids and others. Too much to follow? Don't worry - the brilliant foodintol® App shows you everything - plus it tracks your AntiNutrients automatically. Just choose low-ranking foods - it's easy! ... No rules - just options! Insights into why you have been suffering - and how to solve it. 3). Support: To get you started on the right track we answer your questions for 3 days. Further help available with Add-on Support. 4). 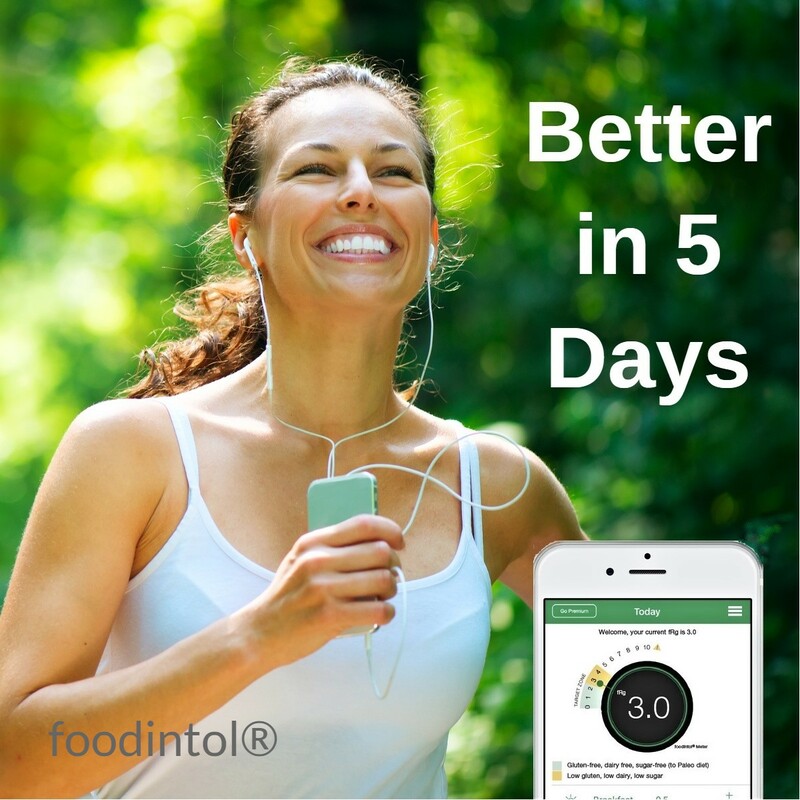 The foodintol® App: AntiNutrients made easy! Thousands of foods ranked for AntiNutrients! Simple Medal system: Gold, Silver, Bronze make it easy to choose low-toxin foods. And warnings save you from picking the wrong ones! Made for iPhone 6: Download free for many options. Choose Premium for full options: AUD 11.99/month, ($2.77/week), cancel any time. I am so thankful I found your site. I have felt great since mid April; have more energy, stamina and strength. My breathing is better and I do not get winded. I have lost almost 20 pounds and a couple of waist sizes when the bloat went away. I am so excited about my results. The eczema is healing, I no longer have the chronic pain that my doctor had finally determined was fibromyalgia. The prescribed meds I tried made it worse. Today is day 15 and I have already lost 10 pounds, without any hunger.